Have Job Openings that You Can't Fill? Struggling to Find Qualified Employees? Existing Employees Need More Skilled Training? The Alabama Community College System has the Answer! The Alabama Community College System is preparing and certifying a world-class workforce! Today’s manufacturing features streamlined production lines, robotics, and computer controlled processes requiring highly developed skills in problem solving, computer and technical training, math skills, and the ability to work in a team environment. These are skills beyond the reading and writing of a standard high school degree. What is the MSSC Certificate Program? The Manufacturing Skill Standards Council (MSSC) is the nation’s leading industry-led training, assessment and certification organization focused on the core technical competencies needed by the nation’s frontline production and material handling workers. The Certified Production Technician (CPT) program addresses the core technical competencies of higher skilled production workers in all sectors of manufacturing. Certificates are awarded in Safety, Quality Practices &Measurement, Manufacturing Processes & Production, and MaintenanceAwareness and Green Production. The Certified Logistics Technician (CLT) program addresses the core technical competencies of higher skilled, frontline material handling workers in all supply chain facilities: in factories, warehouses, distribution centers and transportation companies. CPT and CLT are both accredited under ANSI-ISO 17024 (Personnel Certification). In the U.S., the CPT certification meets the standards of 6 million front-line production jobs, and the CLT certification meets the standards of 5.8 million front-line material handling and distribution jobs. 4 to 6 week boot camp style intensive training that gives the student a full CPT certificate. Great for students that want to have that extra help before starting to look for their first real job. Regular school year. Begin in the 11th grade and have the full certificate by High School Graduation. The certificate travels with them whether they start a job or continue their education. Great for the student that wants to start working immediately after graduation. Incorporate the CPT program into a 2-year program, so that the certifications begin to build up each course you take. Great for the student that has decided that they want to pursue manufacturing or production careers. The certificates still stay with the student as he reaches for a degree. Helps with better options for part-time work while still in school. And it’s amazing how helpful it is to have floor level knowledge when you tackle that management job. This package designed for military backgrounds includes 4 to 6 weeks of online training and 1 week of intensive class training at local communitycollege. Upon completion, the student will be able to be certified in CPT, CPT+ and gain an OSHA 10 card. Ron Brown, Production Mgr., Dickson’s Inc.
Mark Baker, Senior Vice President, Global Operations, Steelcase, Inc.
Credentialing ensures that potential hires are evaluated from the same baseline. Employers have the certainty and confidence that new employees arrive with core competencies assessed by an objective, outside organization. of all American jobs will require some form of Post-Secondary degree or credential. 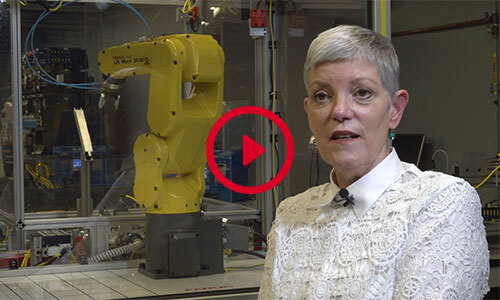 Looking for a new career, Marcia Irwin enrolled in Manufacturing Skill Standards Council (MSSC) training courses at Jefferson State Community College without any manufacturing experience. Upon completion, Marcia attended a job fair and gained employment at Schnellecke Logistics, a Mercedes supplier, within two weeks. Auston Ricks is a senior at Cold Springs High School in Bremen, AL and enrolled as a Fast Track/Dual Enrollment student in Wallace State Community College's Machine Tool Technology program. Upon graduation from high school, Auston will also graduate from Wallace State with an Associate's Degree. Wes transferred to Southern Union from a 4-year institution because the outlook on jobs in his area of study were bleak. 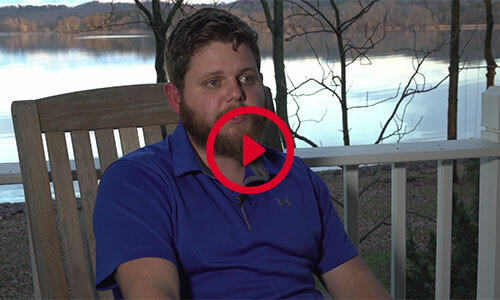 After two years of study in Southern Union Machine Tool program, Wes found immediate employment with BK Aerospace in Huntsville, AL. 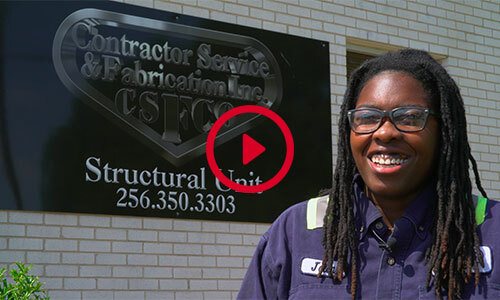 Kayla Farnon began her college career at Enterprise State Community College earning her Associate Degree before transferring to Faulkner State University. 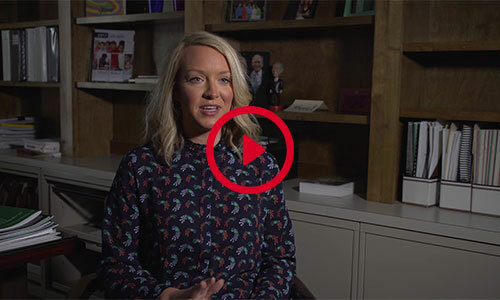 Kayla's has worked as part of Governor Robert Bentley's press team and is now the communications coordinator for the Alabama League of Municipalities. Jalen Roberts earned her welding certificate as a Drake State Community College dual enrollment student at Lee High School in Huntsville. Jalen enrolled at Drake State two days after graduation already working as a welder. Get Certified, Get a Career!